Cross dressing permeates the world of Savage Girl. 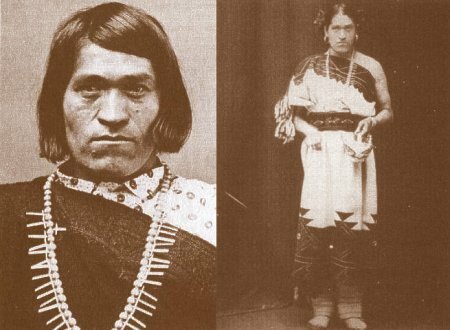 Tahktoo, also known as the berdache, goes about in women’s dress a good portion of the time. He is brawny and manly but feels more comfortable as a rule in a gown. (That doesn’t mean he can’t clean up well in a suit of men’s tails, white tie if the occasion calls for it.) Bronwyn employs boys’ duds as an essential disguise. No one guesses she’s a girl until she removes her bowler hat and shakes out her long ebony thresses. 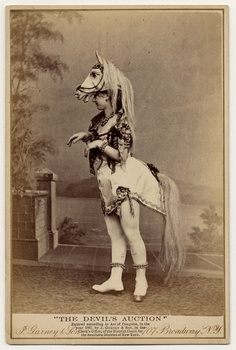 How true is all this costume-foolery to the late nineteenth century, when the story unfolds? Was sexual role reversal fact or fiction? How commonplace was it? Tahktoo, first of all, walks straight out of the history books. There is a well-documented, honorable tradition of the Zuni Man-Woman, an artist-priest who dresses at least in part in women’s clothes. Perhaps the most famous berdache at the end of the nineteenth century, who combined the work and traits of both men and women, was We’wha. 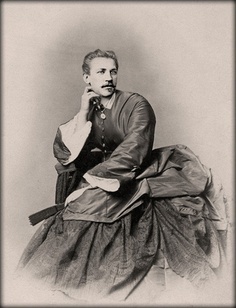 But Native Americans weren’t the only Victorian males who got in touch with their feminine side from time to time. 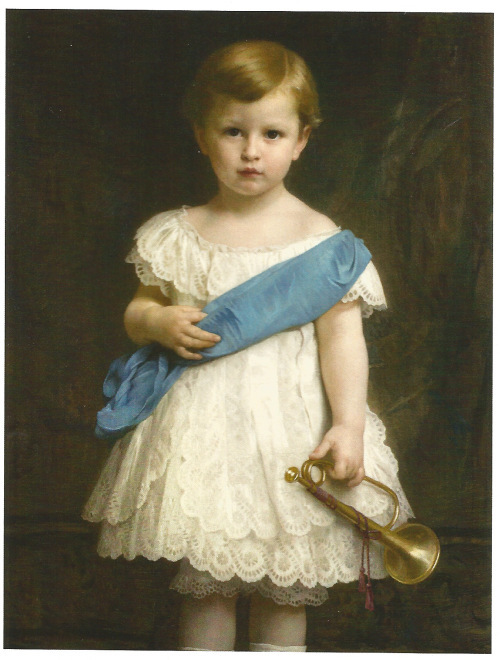 Teeny tycoons started off their lives dressed just like their sisters. Boys only got their pants at the age we now associate with kindergarten. They didn’t all ditch the lace and frills as they matured. During the Gilded Age, the rage for upperten society was the fancy dress ball — which didn’t strictly mean, as it sounds, elegant gowns for the ladies and stiff black tails for the gents. Fancy dress meant a masquerade, an opportunity for the well-heeled to inject their real life with fantasy. A lot of very pricey role-playing could be seen on display in the Manhattan ballrooms where the Delegate family would have spent their time. Frequently, men went gowned as women. (Not that Hugo ever would!) There were other famous parties, too, where men came in frocks — at the Bal des Quat’z’Arts, for instance, which took place in Paris every year, artists and architects partied hearty in the name of everything aesthetic and bohemian. We have photographic evidence that the straitlaced Victorian males sometimes loosened those laces. Of course all sorts of costumes were welcome, not just human ones. We think of Victorian women as feminine to a fault, swathed in silk and lace, with cinched waists, dripping petticoats and fanned-out skirt trains. But some ladies chose to reject the girly role when it suited them. 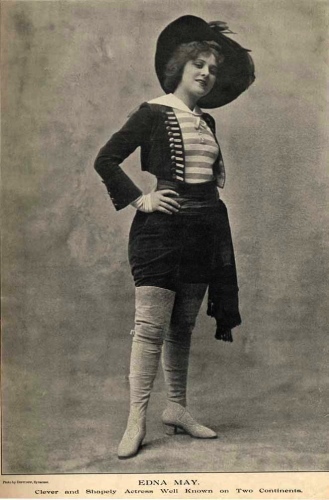 Female burlesque performers during the Gilded Age embraced male roles onstage. 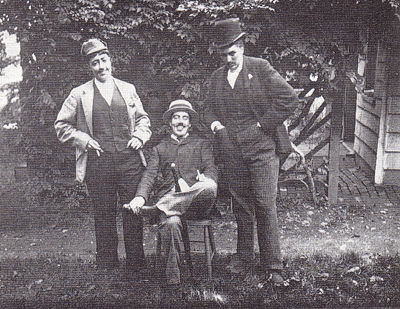 Their androgyny gave them the liberty to not necessarily imitate men but adopt some of the markers of masculinity – voice, posture – that must have been a thrill for tightly corseted audiences. Off stage, female cross dressing was more private. 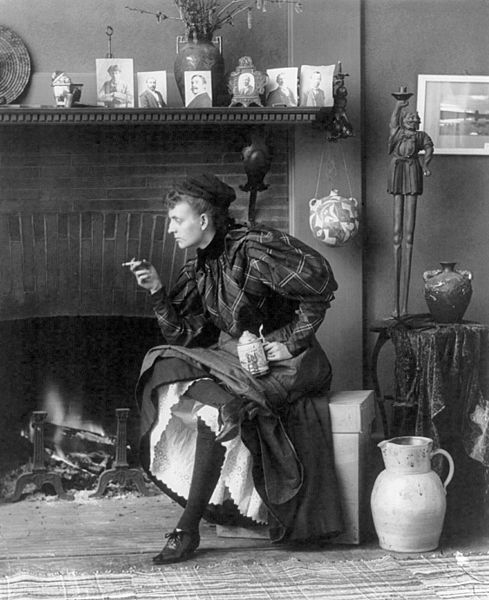 America’s first notable woman photojournalist Frances Benjamin Johnston captured images of New England mill women, sailors getting shipboard tattoos, coal and iron workers and peace treaty signings. 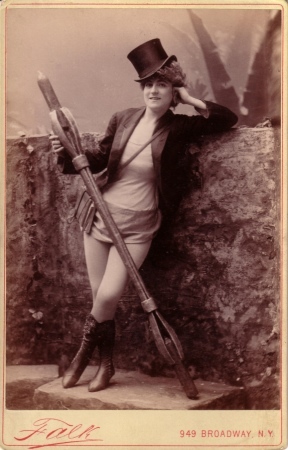 She herself posed in a more masculine “new woman” style, holding a cigarette and beer stein. For all these historical figures, and for the characters in Savage Girl, seemingly silly costume-foolery offers something dead-serious: freedom from social constraints. Both those photographers are fantastic. Alice Austen too. Check them out. Loved this article, and I loved the Zuni Tahktoo character, and I’m fascinated by Frances Benjamin Johnston … (though you didn’t provide the clickable link, I found her, anyway!). WOW! Thanks!